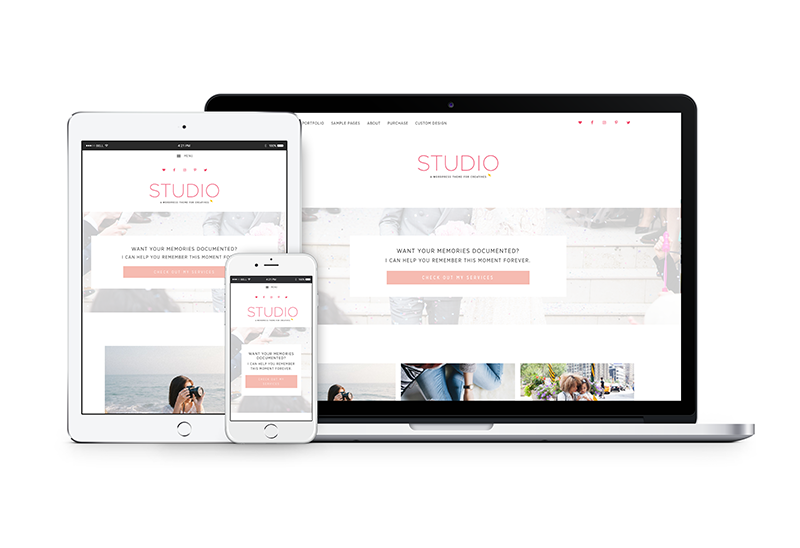 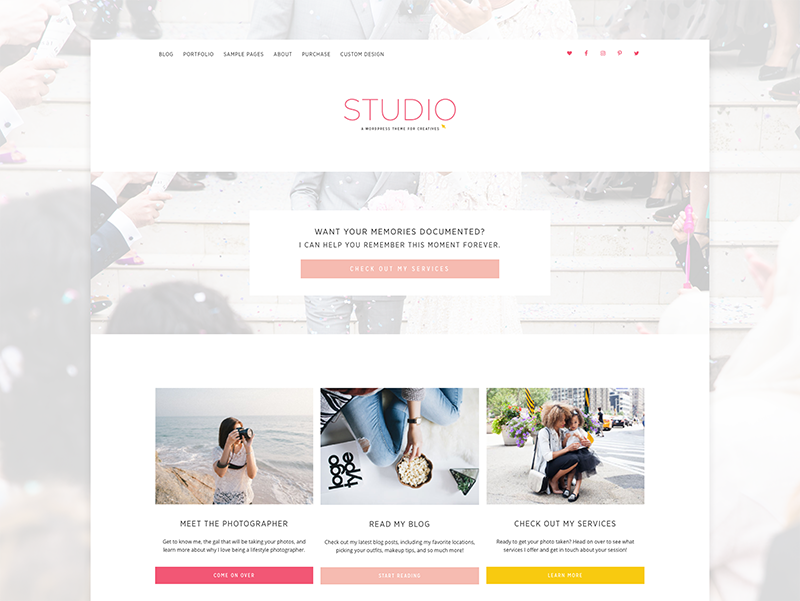 Studio is a simple website and blogging template created for the WordPress platform. 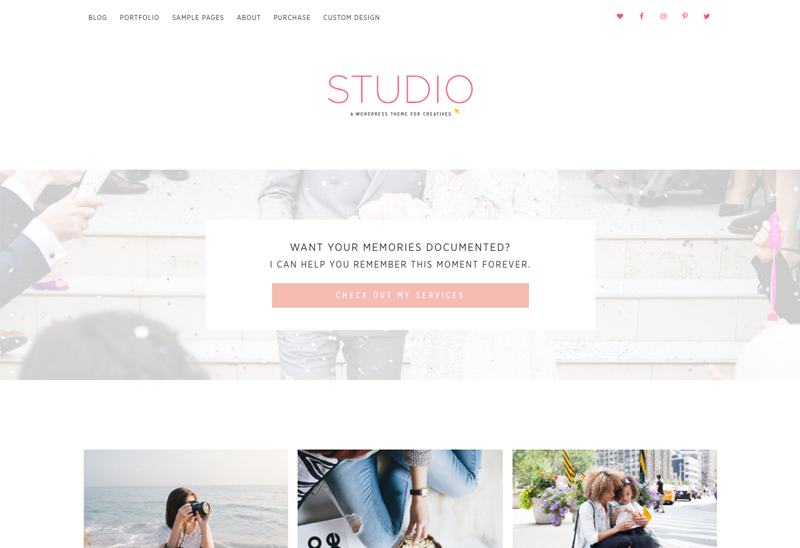 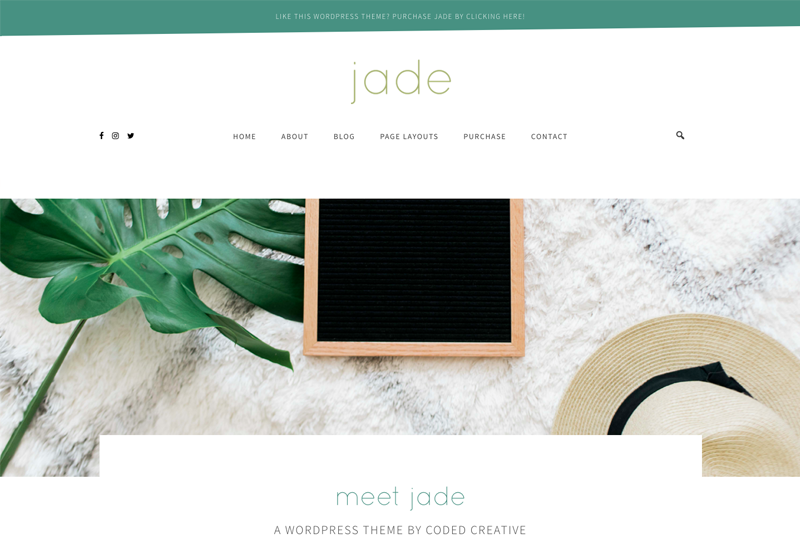 It was created for creative business owners looking to show off their work in a way that will lead to booking more clients. 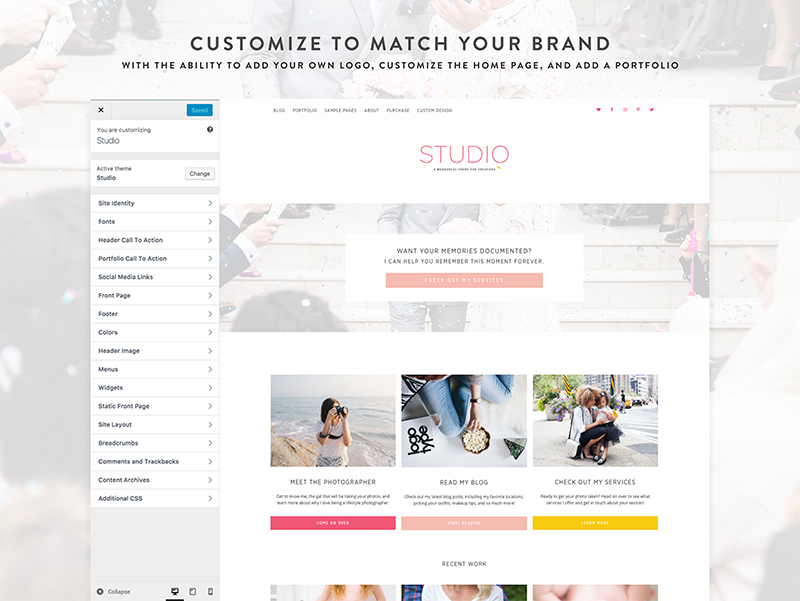 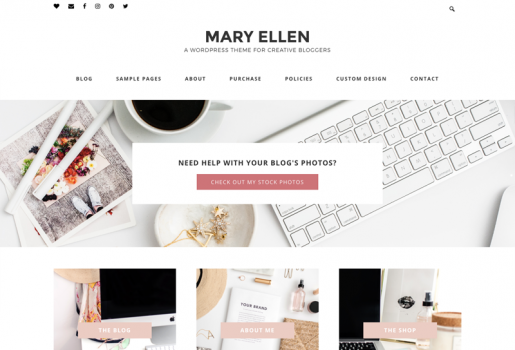 Other great features include portfolio display, customizable homepage, WooCommerce ready, sidebar & no-sidebar layout options, social share icons, and the ability to upload your own logo! 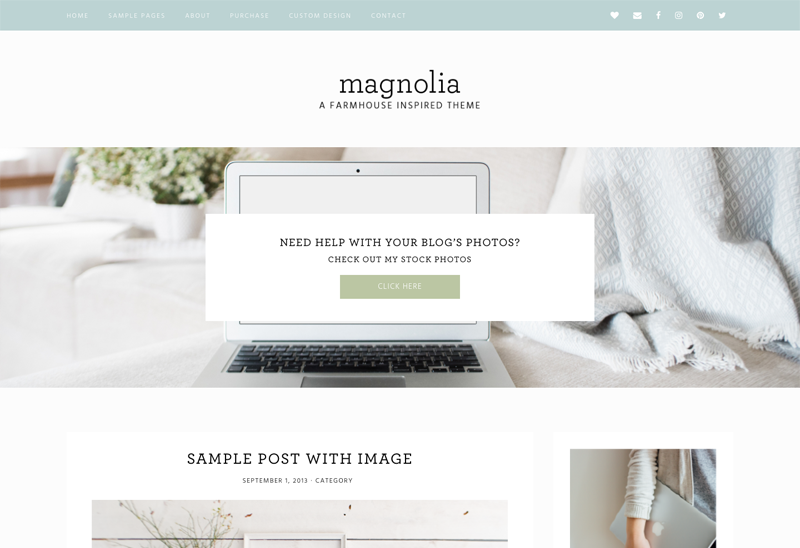 Pages, sidebar widgets, and links can be added, deleted and re-ordered at any time.